- Practical to use and easy to install. - Mount on any 20mm/11mm weaver standard rail. 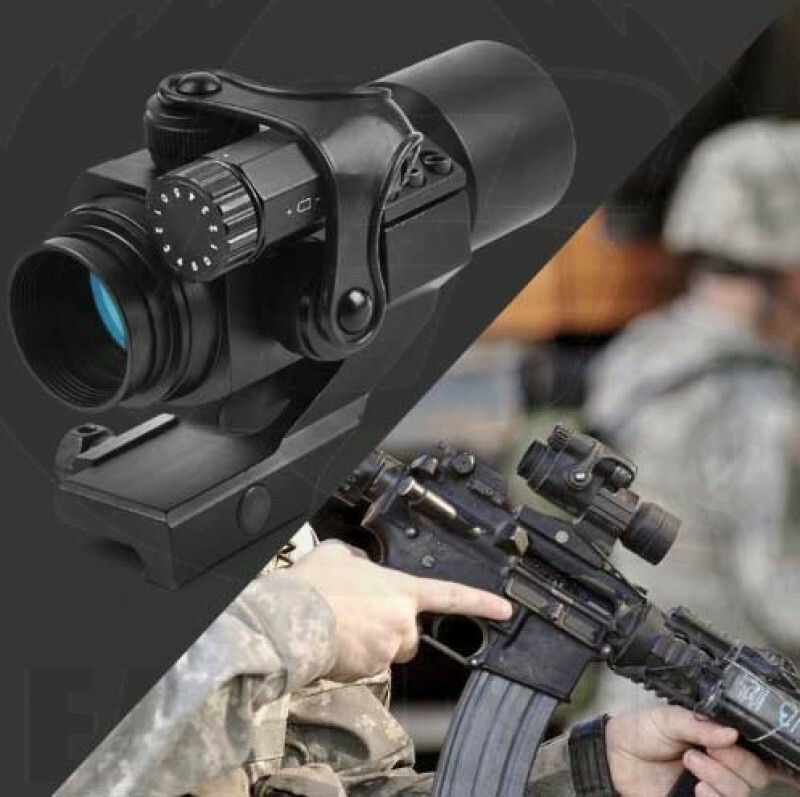 - Full metal casting scope housing objective. - With 2 levels dot brightness control on each illuminate color. - Brightness of the reticle can be controlled by a brightness setting dial. - Please wipe the lens with a clean flannel cloth to keep it clean and dry in order to avoid scratching the glass. - Please store the scope in a dry place when not in use. - Do not attempt to lubricate any part of the scope. - Any further information, please see the user manual.